Sherry Naegele brings years of experience in family law and domestic relations to each of her cases. 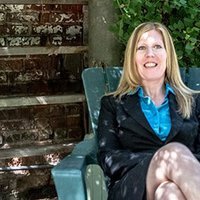 For more than 11 years, she researched and wrote documents for local judges and magistrates, giving her the opportunity to research all different aspects of family law cases. Her existing relationships with Cleveland attorneys, judges, and counsel enable her to move cases forward efficiently for her clients. She understands how to take into account the needs of each individual in a family, and she uses her experience to find the best possible outcome during life’s most difficult situations. Sherry will talk with you one-on-one over the phone to hear the specifics of your case and develop a plan for helping you. Legal insight regarding your case. After gathering the details, Sherry will provide her expert opinion on your best steps moving forward. When you choose to work with Sherry, she will get your case started off right by preparing the proper documentation. Together, you and Sherry will determine if you wish to try and resolve the case with the other party. In cases that can’t or won’t be resolved prior to court, Sherry will be on your side before, during, and after the court hearing. One of the most important parts of what Sherry does is helping her clients find closure in their case. Family law is one of the most emotionally charged areas of the law, which is why Sherry will work to make sure you receive the best outcome while helping you find a sense of settlement and closure moving forward. Attorney Sherry Naegele has been practicing law in the state of Ohio since 2000. Her practice encompasses all areas of family law, and her experience and compassion can help you through life’s most difficult situations. Contact her today to get started.